First of all let me tell you that this is a promotional offer and the 1024 GB free data is available for only those customers who buy Samsung S9+ and put Jio sim in it. So once you buy Samsung S9+ all you need to do is buy new Jio sim or use your older Jio sim and put it inside Sim slot given into your Samsung S9+. That's all you need to do. 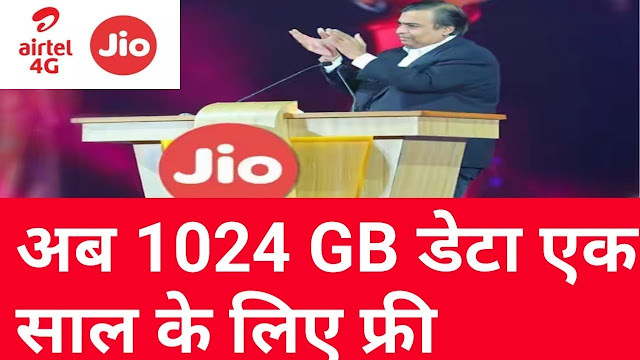 Within 24 hours you will get notification from Jio that your Jio number has been credited with 1024 free data for one year under promotional offer for Samsung S9+. If you are planning to buy Samsung S9+ then you must go for this offer and enjoy free Jio services for one long year. If you have any question regarding to this offer please comment here. I will answer all your questions.